You take great pride in encouraging the proper health and development of your children’s teeth. You make sure they brush, floss, and visit their children’s dentist in Creve Coeur every six months. However, despite your best intentions, you may be overlooking a crucial factor that is placing their smiles at risk. If they participate in any type of contact sports, they need a custom-made mouthguard. At Feigenbaum Dental, we create high-quality mouthguards for the entire family to protect their beautiful smiles. Is a Mouthguard Really Necessary? When your child plays sports, you ensure that they have the right safety equipment to protect them from an injury. A mouthguard serves the same purpose. If they do not have one, you are essentially sending them onto a football field without a helmet. It is estimated that as much as 20% of oral health injuries result from sports-related activities. In addition, the National Youth Sports Foundation for Safety reports that an athlete is 60 times more likely to suffer from damaged teeth when not wearing a mouthguard. The most common injuries related to sports involve knocked out or dislodged teeth, cracks, and chips because there is no barrier. However, with a mouthguard, the teeth and gums have an added layer of protection in the event there is trauma to the mouth. Although many tend to believe that only high-impact sports like hockey, football, and boxing require a mouthguard, your teeth should be protected during any activity, including weightlifting and rollerblading. However, you cannot just go pick up one from your local drug store. These do not offer an ideal fit, which could cause more harm than good. You will need a custom-made mouthguard from your dentist in Creve Coeur. Where Can I Get a High-Quality Mouthguard? At Feigenbaum Dental, we use advanced technology to create high-quality mouthguards that are available in several fun colors. We use the Sheu MiniStar machine that features cutting-edge scan technology to fabricate the oral appliance. This provides professional results for the highest level of protection while also ensuring a comfortable and accurate fit. The mouthguard material provides a fast fabrication process with consistent thickness. The 2mm-3mm square and round material will be customized to meet our patient’s exact needs—no matter if it is a child or an adult. We can create the mouthguard in an array of color options, including: black, yellow, orange, green, blue, purple, and red. Do Only Children Need a Mouthguard? Mouthguards should be worn if you participate in physical or sports-related activities—no matter your age. While children tend to be more prone to dental injures, teens and adults can suffer them as well. 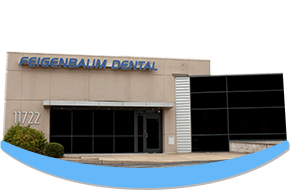 At Feigenbaum Dental, we provide mouthguards in Creve Coeur for the entire family. As you strive to create generations of healthy smiles, do not forget to protect your family’s teeth. We offer the high-quality, comfortable protection you need to prevent damage. Contact our office today to schedule a consultation. We look forward to providing your loved ones with an added layer of protection.